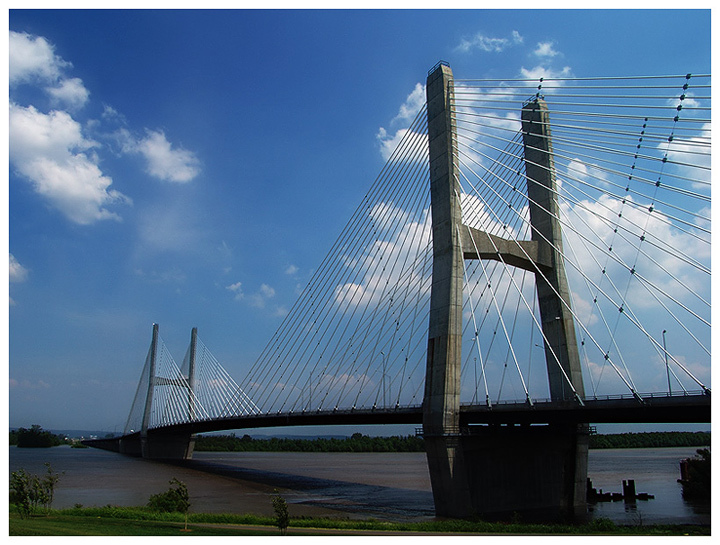 The Bill Emerson Memorial Bridge spanning the Mississippi at Cape Girardeau, Missouri..opened in December 2003.. Proudly hosted by Sargasso Networks. Current Server Time: 04/25/2019 07:44:49 PM EDT.